Independent small business supplying an efficient, professional and honest service in all areas of carpentry, joinery and wood flooring. Traditional joinery and hand made cabinet manufactures. Specialists in the manufacture, supply and installation of oak frames, outbuildings and log cabins. Delivering an outstanding carpentry and joinery service to all major house builders across the south-east for the last 20 years. AJC are proud of our 20 year experience of working with the UK’s largest house builders to make sure our client’s homes are finished to the highest of standards. Our team of highly skilled carpenters are committed to delivering work we are happy to put our name to, including craftsmanship techniques and company processes to make sure your experience is the best it can be. All resulting in AJC being acknowledged as the undisputed number one carpentry and joinery contractor in the south-east region. The reputation we have built is firmly based on our pursuit of quality workmanship, being entrusted to manage the most complex and labour intensive of projects. As we only work with the UK’s major house builders across large developments, we are used to working with our client site management teams and all other trades. Specialists In Decoration & Refurbishments A reputation that matters We have been accomplished for over 14 years, We specialise in working with in your existing property to create a space that is tailored to your precise requirements, working closely with you using our experience to help you though the design and planning stage, over the years we have established a reputation based upon skilled workmanship and expertise which has gained us a loyal customer base and recommendations. Since the company was founded we have been committed to providing you with the dedication and expertise to completely transform your home using only the finest products and materials, We pride ourselves quality workmanship, communication and customer satisfaction whatever your requirements are We undertake domestic projects of various sizes encompassing all aspects of refurbishment and renovations, including joinery and bespoke made units, carpentry and flooring, decorating and paper hanging, kitchens and bathrooms. We are family company from Poland, where we developed our carpentry company. 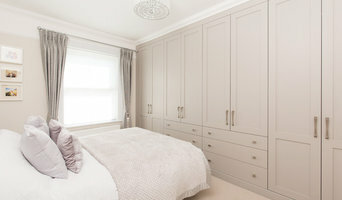 We offer our customers bespoke furniture, very high quality kitchens, wardrobes, free-standing, bathroom and room furniture. We offer our clients not only furniture but also professional installation thanks to which we guarantee a well-done job. When deciding whether to employ a joiner or carpenter in Itchen Abbas, Hampshire, it is best to pick your professional according to their experience on projects similar to your own. 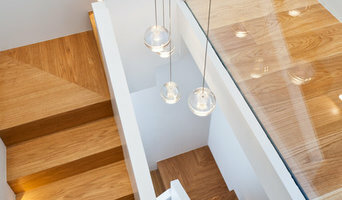 For example, installing bespoke joinery such as a staircase involves significant structural work and you might want to work with a carpenter in Itchen Abbas, Hampshire with considerable experience in bespoke staircase joinery. You will often find you need to employ both a carpenter and joiner on a single project, and some firms will offer both skillsets which can simplify your overall hiring process. 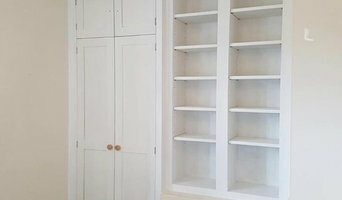 Where can I find a good Itchen Abbas, Hampshire carpenter or joiner? 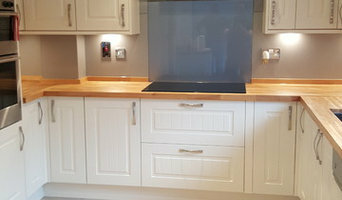 On Houzz there are many professional Itchen Abbas, Hampshire carpenters and joiners that specialise in providing a full carpentry service or bespoke joinery in Itchen Abbas, Hampshire, whether dealing with fitted or freestanding, traditional or contemporary furniture. Simply search for a joiner or carpenter in Itchen Abbas, Hampshire in the Find Pros category, then add images of designs that you like to an Ideabook and contact those on your shortlist. If you need reassurance beyond photos of their work and reviews of previous clients, then you might check to see if the carpenter or joiner is a member of The Institute of Carpenters (IOC), The Guild of Master Craftsmen, the British Woodworking Federation (BWF) or the Federation of Master Builders (FMB). Each asks its members to meet a certain level of expertise and abide by a code of conduct. Have a face-to-face consultation – basic brief and image references in hand – see which joiner or carpenter in Itchen Abbas, Hampshire is the easiest to get along with and who best understands what you’re trying to achieve. How long have you been a joiner or carpenter in Itchen Abbas, Hampshire? 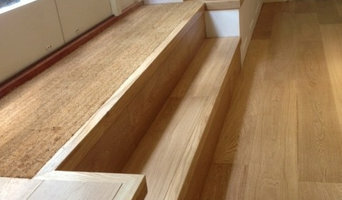 Do you offer bespoke joinery in Itchen Abbas, Hampshire as well as standard carpentry? Find a carpenter or joiner on Houzz. Narrow your search in the Professionals section of the website to Itchen Abbas, Hampshire joiner and carpenter professionals. You can also look through photos of woodwork and bespoke joinery in Itchen Abbas, Hampshire by style to find a design you like, then contact the joiner or carpenter in Itchen Abbas, Hampshire that worked on it.